The Anik E's provide North America-wide communications in both the C-band (6/4 GHz) and higher power Ku-band (14/12 GHz), and each satellite carries the equivalent of 56 analog television channels. This capacity is provided by a instrument called a transponder. Anik carries 24 C-band transponders and 16 Ku-band transponders, with each Ku-band transponder carrying two analog television signals. The Anik E satellites use the three-axis stabilized GE Astrospace AS-5000 Bus. Anik E2 was launched in April 1991, on board an Ariane rocket. When Anik E1 was launched in September of 1991, it was to be the most powerful satellite in commercial use in all of North America. Anik E1 had the ability to hold 56 television channels compared to the standard 16. 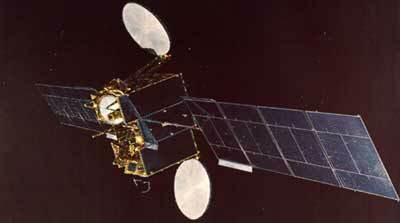 On 26 March 1996, however, Anik E1 failed when the southern solar panel ripped off, causing power to be lost to the satellite. Anik E2 suffered damage during an geomagnetic storm, leading to reduced performance.